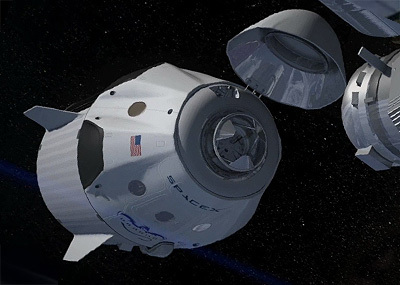 The second generation Dragon cargo vehicle is a space capsule designed by SpaceX to provide supplies to the International space station based on the manned Crew Dragon capsule. The Dragon spacecraft is made up of a pressurized capsule and unpressurized trunk used for Earth to LEO transport of pressurized cargo, unpressurized cargo, and/or crew members. Initiated internally by SpaceX in 2005, Dragon will be utilized to fulfill the NASA COTS contract for demonstration of cargo re-supply of the ISS. The Dragon capsule is comprised of three main elements: the Nosecone, which protects the vessel and the docking adaptor during ascent; the Pressurized Section, which houses the crew and/or pressurized cargo; and the Service Section, which contains avionics, the RCS system, parachutes, and other support infrastructure. 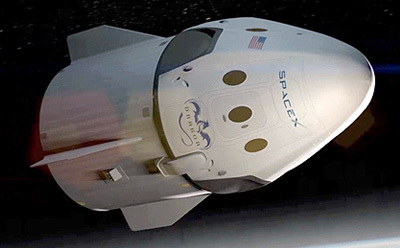 In addition an unpressurized trunk is included, which provides for the stowage of unpressurized cargo and will support Dragon's solar arrays and thermal radiators. Under the CRS-2 selction in January 2015 Dragon was selected for a minimum of six missions.